Urban Flower: Our Teddy Bear takes over the Tiny Tickers Ball! Our Teddy Bear takes over the Tiny Tickers Ball! The past few years we've been proud supporters of HeartKids NSW, a great organisation which aims to empower and support children (and their families) who suffer from heart disease. They do great work and thousands of families are uplifted by the advocacy and information that HeartKids provides them. They recently held their annual Tiny Tickers Ball at the Westin, Sydney. We donated one of our big teddy bears made by Ocean Yeun here in Sydney (Yes! There is such a thing as an Australian made teddy bear!). 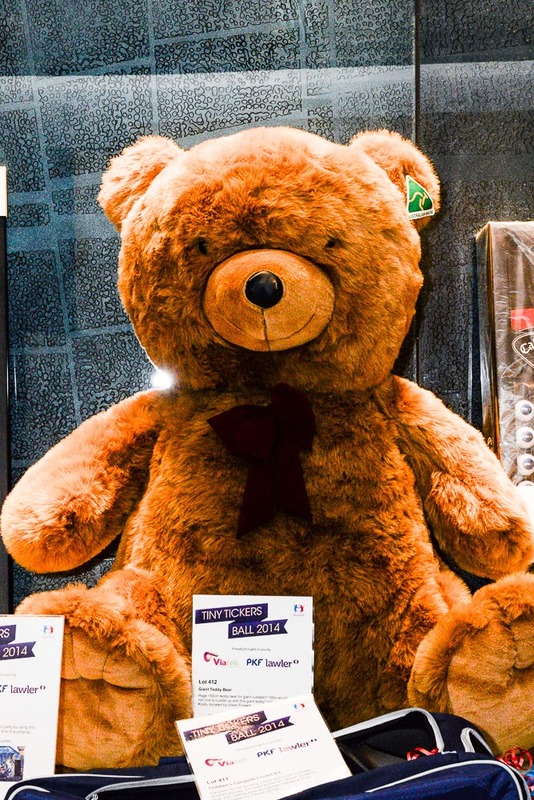 The teddy bear was auctioned off for HeartKids and the night went on to raise in excess of of $110,000 for the charity. What a fantastic effort. Here's the winning couple dancing with their teddy bear! Hopefully he found his way home after a very big night to a loving home where there won't be too many children jumping on his tummy!